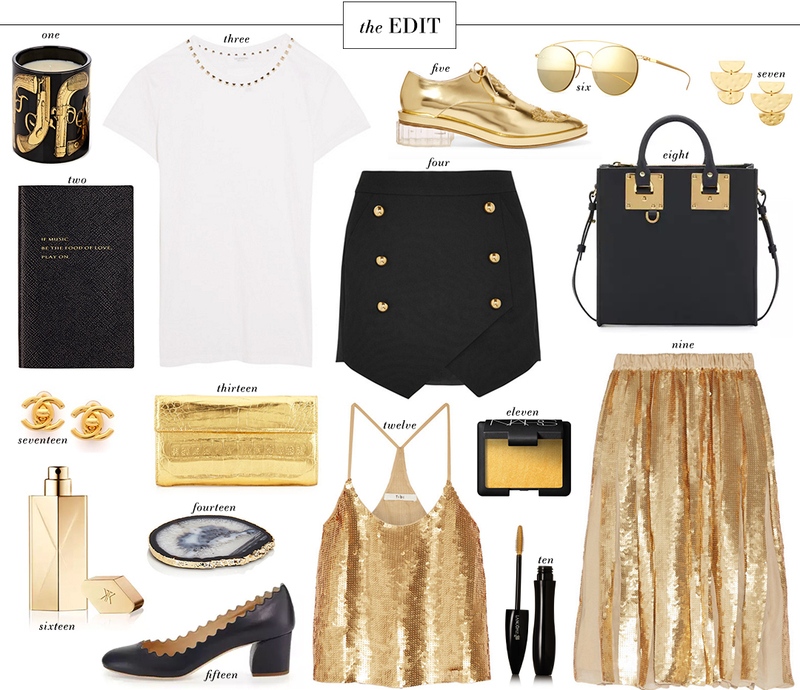 Clearly I’m having a gilded moment! How gorgeous is this Tibi cami and skirt combo? Obsessed. Hope you all are having a great week so far! Today I have my last runway show (Tory Burch) at New York Fashion Week, and then tonight I’m going to preview Lele Sadoughi’s spring/summer jewelry collection at her town house near The High Line. I’ll also be catching up with some SMU friends tonight over dinner! Tomorrow I’m grabbing lunch with my girl Courtney who works at Tibi, and then I plan to spend the rest of the day doing a little retail damage. If you can believe it, I haven’t purchased one item of clothing on this trip so far! I’m sure that will all change tomorrow, so stay tuned. All in all, this fashion week has been very fun and filled with some super special moments, two of which I’ll be sharing later this week! While my NYFW show schedule was on the lighter side this year, I had time to enjoy the city and catch up with friends. Time in New York is always well spent! I’ve decided that I will never tire of a scalloped edge and I need those pumps! Those gold sunnies!! So chic- great picks Merritt! Enjoy the rest of your time in NY! I love love love that skirt (#4!) and those scalloped shoes. I have a pair of scalloped flats (in gold!) that I’m attempting to break in now. It’s a process, ha! Hope you had a great time at NYFW! Oh what lovely selections! Sorry that we missed each other in NYC. I’m loving all the gold! !